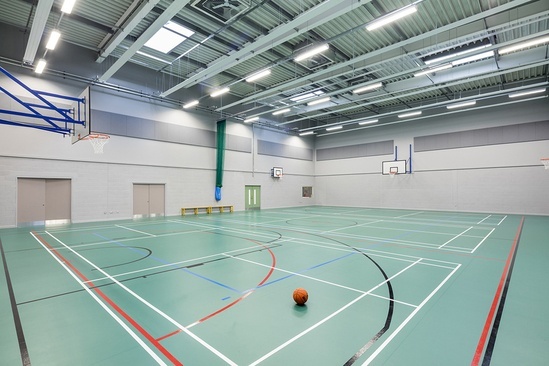 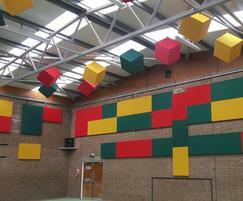 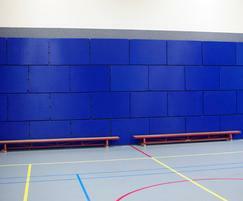 TVS ABSorb Sport Panels are impact-resistant, Class A acoustic absorbers for applications such as sports halls, five-a-side pitches, gyms and event centres. 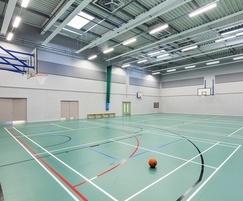 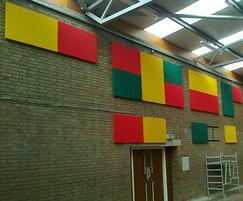 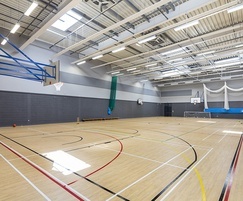 Extensive impact testing ensures they are suitable for use within sports halls. 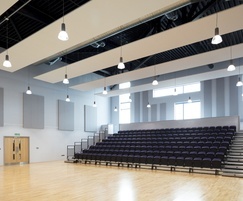 As one of the only acoustic panels to be impact-resistant to DIN 18032-3, their versatility allows them to be installed at low levels in areas where traditional acoustic panels would be suceptible to knocks and damage. 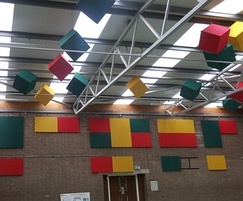 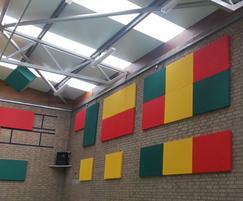 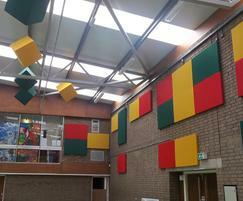 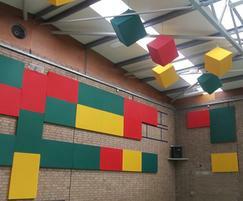 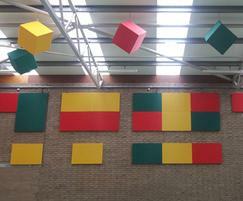 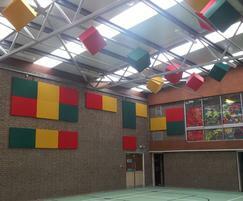 Areas are brightened and made more interesting by the use of a variety of coloured panels, including blue, golden yellow, green, red, black and white.